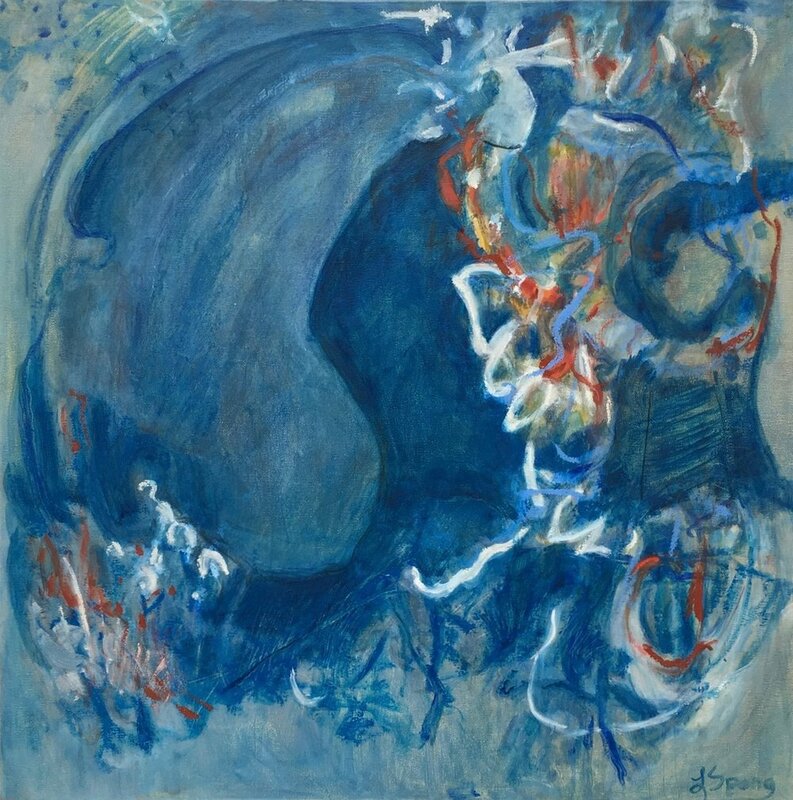 Laura Spong, the Columbia abstract painter who died August 13 at the age of 92, was a woman of convictions who had a great sense of humor and a difficult-to-match work ethic. She was joking a few weeks ago during what turned out to be a late rally before her health took its last turn for the worst. She said she wanted to live long enough to vote for Democrat James Smith for governor. If she could just hang on until the absentee voting period opened, she could fill out a ballot and mail it in. Then, it wouldn’t matter when she died, she said. Her eyes twinkled at the thought of “voting after death” and the consternation that might bring to voter fraud conspiracists. A few weeks ago was about the time Laura quit painting. My husband, Wim Roefs, and I have known Laura for about 20 years, and have always known that she could be found in her studio whenever she could possibly get there, even though she was in her 70s, 80s and 90s. Painting was a job to her – she woke up, drove to the studio and got to work. But painting was also a joy, the thing she wanted to do more than anything else on just about any given day. And she was good at it. Really good. She only got better with each passing year. Yet she was self-effacing. She frequently had been honored for her talent, but she was kind and encouraging of every other artist who asked for her advice. She wanted everyone to do well, to be able to do what they wanted, whatever that might be. Laura was a genteel Southern woman with a Tennessee accent whose “Coming Out” party as an artist was on her 80th birthday. 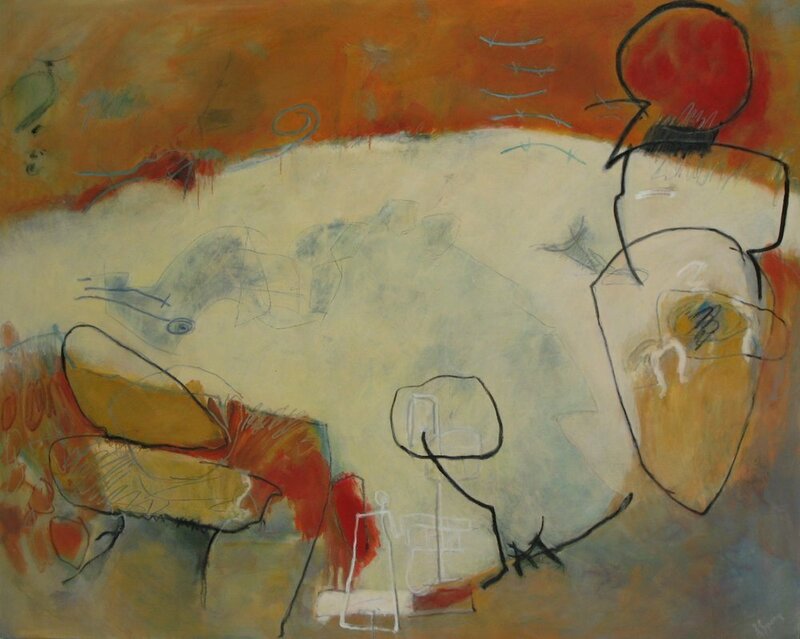 She had been painting, although irregularly, for about 50 years, and began to work full-time as an artist in the late 1980s. Her 80th birthday show, which she organized through Wim, was a smash hit. It introduced the greater world to the work she was making at Vista Studios in downtown Columbia. After that, she had multiple solo exhibitions throughout the state and beyond, including a retrospective at the University of South Carolina. She also was represented in group shows in the Carolinas, Georgia and Tennessee. Her work, that from early in her career as well as more recently, has been acquired in the past decade by the South Carolina State Art Collection, the South Carolina State Museum and the Greenville County (S.C.) Museum of Art. We’ll miss her always. But her work will live on. And, for many of us, she’ll live on through it. Thank you, Laura. -- Eileen Waddell, director, if ART Gallery, Columbia, S.C.